It’s Thanksgiving in America, or as the rest of the world calls it, Thursday. 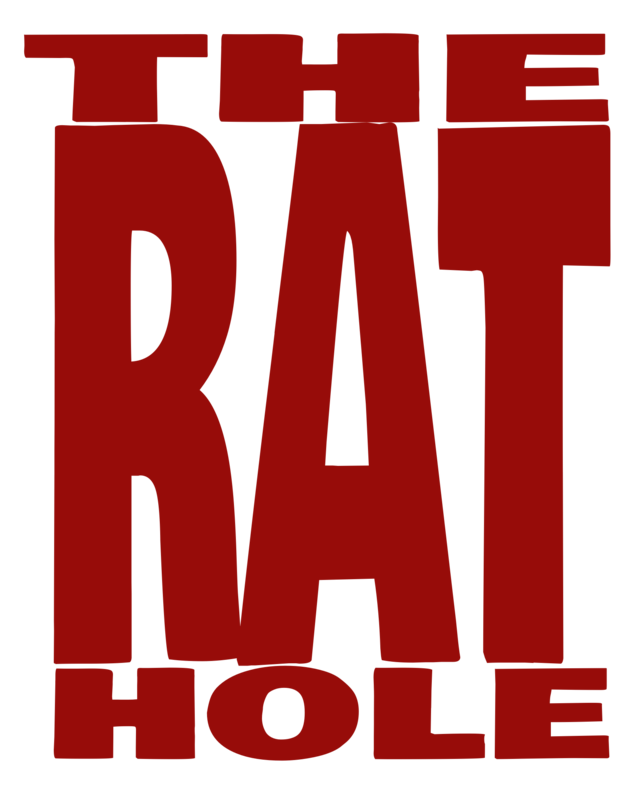 It’s also the anniversary of The Rat Hole. When I opened the Rat Hole, I did so on American Thanksgiving for two reasons. First, I have always (even writing for other sites) always tried to embrace the holiday season for the five weeks leading to Christmas, starting with American Thanksgiving. The second reason is to give me a public forum to make that opening joke every year because I’m a jerk like that. 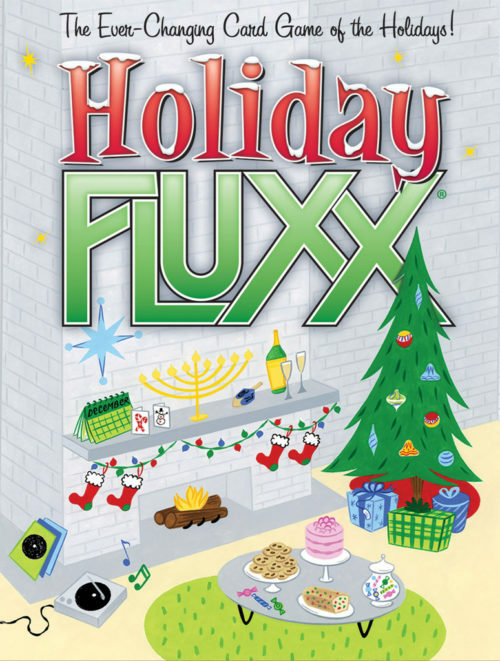 But focusing on the first reason, we’ll be starting our yearly series of holiday games with Holiday Fluxx. If you’ve been reading long enough, you may have noticed that I’ve reviewed a few different Fluxx games. Unlike many games, there isn’t really a “core” that I could review and just link to that. Theme specifics aside, every game of Fluxx runs basically the same. They are all almost all standalone products, so please excuse me as I cut and paste a quick summary of gameplay. Every game of Fluxx starts the same, with two Basic Rules: Draw 1 – Play 1. That’s everything. Inevitably a new player wants to know how you win, but at the start of the game, there isn’t one. As the game progresses new rules are played that change things like the Draw – Play rules, put a new winning condition into play, or just about anything you can think of. Generally to win a player needs to have specific Keeper cards in play, and no Creeper cards in play (unless specified by the Goal). Goal cards could change at any moment, throwing certain victory into the alien jaws of defeat. I will admit there are a large number of players out there that simply despise the sort of chaos that a game like this incites. Some of those players will simply never enjoy this type game, and that’s completely valid, while others just take a bit longer to wrap their heads around the ever-changing flow; the fact that everything in the game is constantly in… Fluxx. At the same time, once you accept the chaos, the overall simplicity of the game can make it ideal for family gatherings. One of the nice things about this Fluxx is that it’s not just about Chrismas. The Goal Cards, specifically, touch on both religious and non-religious Christmas traditions, Yule, Kwanzaa, Hanukkah, Festival of Lights (which is represented by the Jewish tradition but applies to numerous other holidays this time of year.). On top of that, it extends out to New Year’s Eve on one end, and Thanksgiving on the other, and since there are enough things it shares with other holidays it even hits Halloween. Again, as with every Fluxx there are certain standard cards that take actions and change the rules, it also includes one of the most fun rules I’ve encountered. The New Rule card Xmas Bonus allows a play to draw and play one extra card per turn IF they have the Keeper card Santa\ in front of you OR if it is Christmas Day. Maybe I’m strange, but I’m a huge fan of games with a few ridiculously specific bonuses in them. The art on the Keeper cards, and again on the Goal cards, has a great cartoon retro, whimsical, feeling to it that fits well with various different holidays. They range from different food cards, to Greeting Cards and Gifts, to Music, to more specific things like Santa Claus and a Menorah. If you are looking for something casual to play at that awkward family gathering, that is fun and unlikely to get more awkward (although you know that crazy uncle better than I do), Holiday Fluxx is a great option to crack out over the next few weeks. You can find more Looney Labs goodness online at www.looneylabs.com or on their facebook page: facebook.com/LooneyLabs.